Feta Cheese is a type of white curd cheese that’s brined. In Greece (its origin), Feta cheese is either made of sheep’s milk or a combination of sheep and goat’s milk. In Europe, Feta-like and Feta versions are made using cow’s milk (in part or in whole). The texture of Feta cheese is semi-soft. It is also crumbly in texture, especially when aged. As for its taste, it’s quite salty – but you can rinse the cheese under running water if you want to wash off some of its saltiness. Feta cheese is a versatile (and delicious) cheese that’s often included in salads and pastries. It can also be served as is as appetizer and side dish. Goat cheese, which is made from goat’s milk, has a unique taste. Its flavor can be described as mildly tart and subtle in taste (not very salty). To make Goat cheese, it can be curdled naturally and then drained. To achieve a more solid form, it can be pressed. It’s a semi-soft type of cheese, that’s why its form can be altered. Goat cheese can also be made by adding an acidic ingredient (vinegar or lemon juice) to the milk mixture. The milk will then coagulate and slowly form into cheese during the curing process. You can immediately consume freshly made Goat cheese. You can also allow it to age and become firmer. When aged, Goat cheese is typically brined to preserve the cheese. Feta has lower (total) fat content than Goat cheese. A serving of 100 grams of Feta cheese has 21 grams of fat while Goat cheese has 30 grams of fat per 100 grams. Feta has higher cholesterol content than Goat cheese. A 100-gram serving of Feta contains 89 mg of cholesterol while a hundred-gram Goat cheese only has 79 mg cholesterol. Feta is very high in sodium – a 100-gram serving contains 1,116 mg of sodium. On the other hand, a 100-gram serving of Goat cheese only carries around 515 mg of sodium. 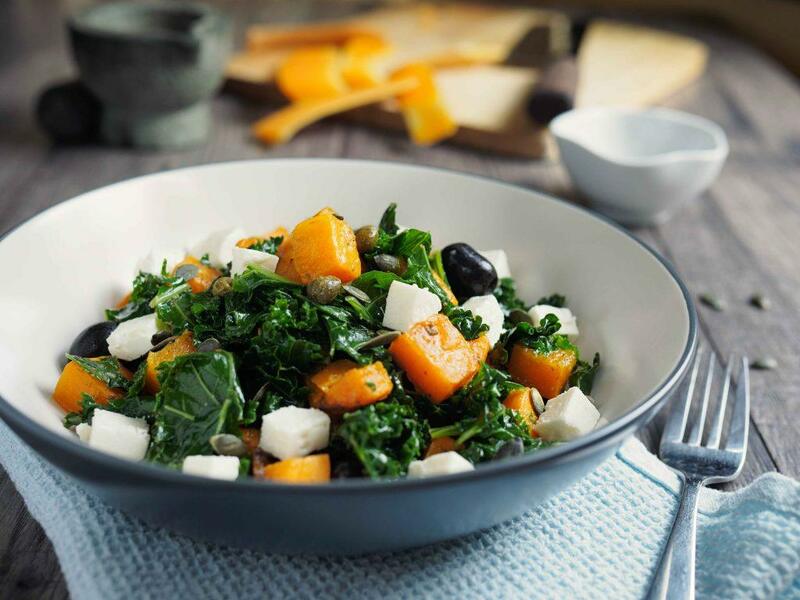 Feta is low in protein – with only 14 grams of protein per 100-gram serving. Goat cheese contains higher protein since it carries around 22 grams protein per serving of 100 grams. Note: Feta has a unique characteristic that sets it apart from other types of cheese. It comes with good bacteria (like those found in yogurts) that can combat Listeria (a type of bacteria). Feta cheese (Amazon) has a distinct taste, but its saltiness stands out. Its overall taste can also be described as strong, sharp, and quite tangy. Goat cheese (Amazon) is milder in taste when compared to Feta cheese. Although it’s also tangy in taste, it carries some sweet notes that make it pleasing to the taste buds. Feta is a firm type of cheese – that’s why it can be cubed and stored in brine as such. Although it’s semi-solid in its chunky form, it easily crumbles (especially when heated up). You see, Feta can be manually crumbled and added to dishes. Unlike Feta cheese, Goat cheese is more delicate in nature. And because of this, it crumbles more easily than Feta cheese. Yes, Goat cheese is softer than Feta cheese. Greek-made Feta cheese uses sheep’s milk (70% or more) and goat’s milk (30% or less). American-made Feta cheese uses milk from cows only. Goat cheese is exclusively made from goat’s milk wherever it’s made (Greece, France, UK, Italy, etc.). Q: Is Feta goat cheese or cow? A: First of all, Feta is different from Goat cheese. And while Goat cheese (a type of cheese) is made from goat’s milk, Feta is made from a combination of sheep and goat’s milk. There are also Feta cheese products that are made from pure cow’s milk. Q: Can you substitute Feta for Goat cheese? 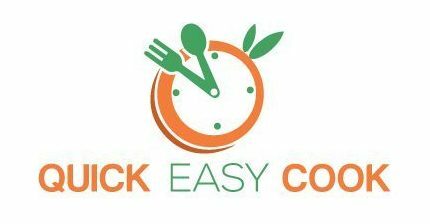 A: You can substitute Feta for goat cheese and vice versa, as long as you are aware of their differences in taste and texture. 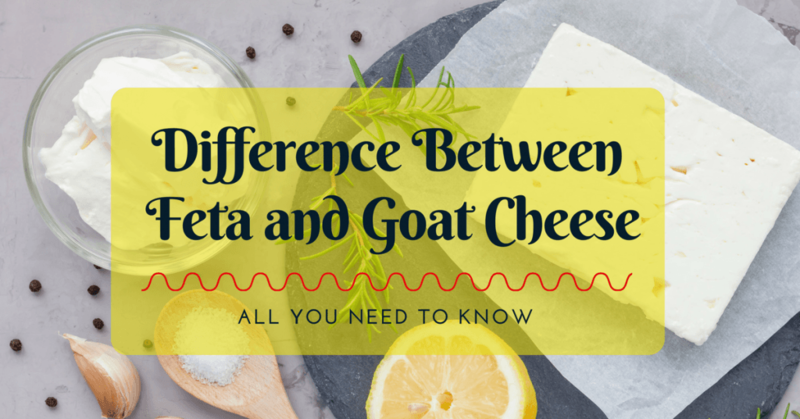 It, therefore, depends on your recipe – Feta is salty, while Goat cheese is somewhat sweeter in nature. As for their texture, Goat cheese is more delicate and crumblier than Feta (both work well in salads). Q: What is Feta Cheese good for? 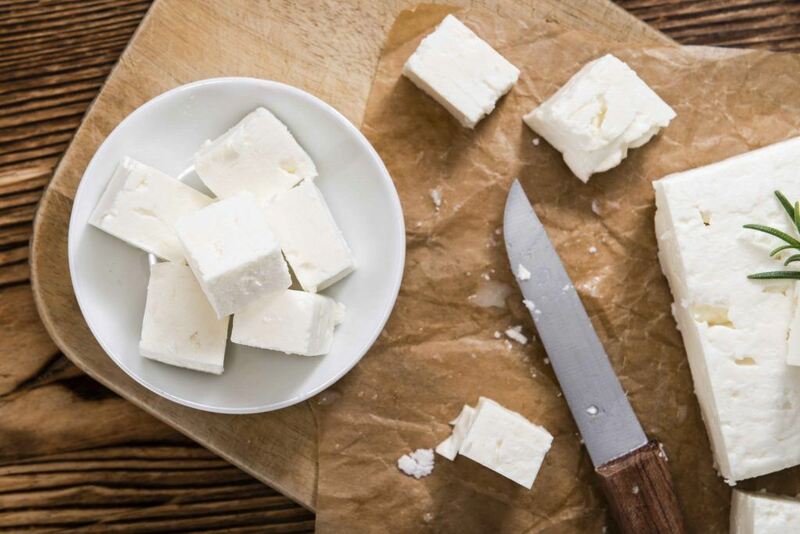 A: Aside from its distinct taste, Feta cheese contains vitamins and minerals. Feta also carries tummy-friendly bacteria that will help protect you from Listeria. Q: Is Gorgonzola Goat cheese? A: No, Gorgonzola is different from Goat cheese. While Gorgonzola is made from cow’s milk, Goat cheese is made from goat’s milk. As far as their textures are concerned, however, both are soft and crumbly. Q: Is Blue Cheese Goat Cheese? A: No, Blue cheese and Goat cheese are not the same. As you already know, Goat cheese is made from goat’s milk. Meanwhile, Blue cheese can be made from cow, sheep, and goat’s milk. In a bowl, combine the Goat cheese and Feta cheese. Mix well (but allow a few lumps to remain). Add chopped thyme to the cheese mixture. Mix everything up until well combined. Transfer the mixture to an oven-safe dish. Drizzle some olive oil on top and put a small piece of thyme over the mixture. Bake at 350 degrees Fahrenheit for about 20 minutes (until the cheese mixture is melted and the top is golden brown). Peel, seed, and cut the cucumbers (cubes). (optional) Cut Romaine Lettuce into small pieces. Add the dressing to the mixture. Note: If you like, you can substitute Goat cheese for the Feta cheese ingredient. Add in scrambled eggs (mixed with a little water). Add ground pepper and garlic powder. Turn off the heat and flip the omelet over to further cook (on residual heat). Note: You can use Goat cheese instead of Feta cheese. I hope you learned a lot from this post and now know how to differentiate Feta cheese from Goat cheese. I have also provided you with recipes wherein you can use the 2 types of cheeses. Remember, Goat cheese and Feta cheese can substitute for each other. You can therefore use any of these types of cheese even when only one of them is required in a recipe. If you ask me, they’re both good – and they’re both yummy! Let me know which is your favorite cheese by leaving a message in the comment box below. And don’t forget to share this article with your friends.